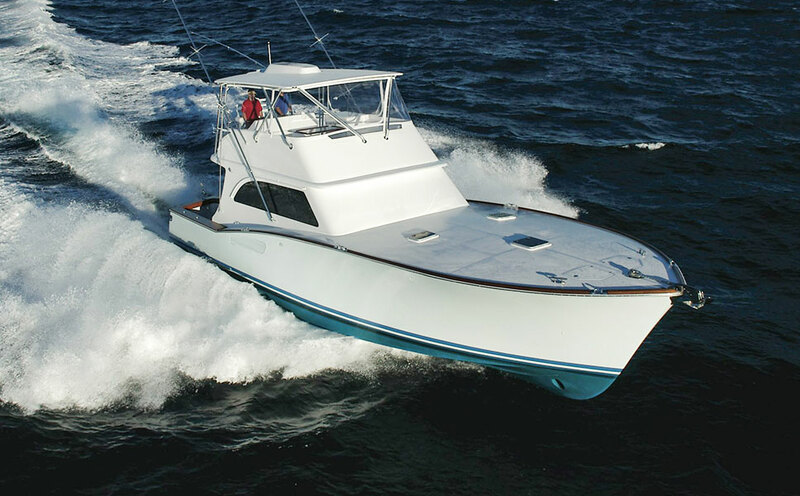 Vicem 57 sportfish is so carefully considered and crafted there is little left to desire. Beautiful mahogany interior with unique exterior lines. Three stateroom layout and two heads with separate showers. 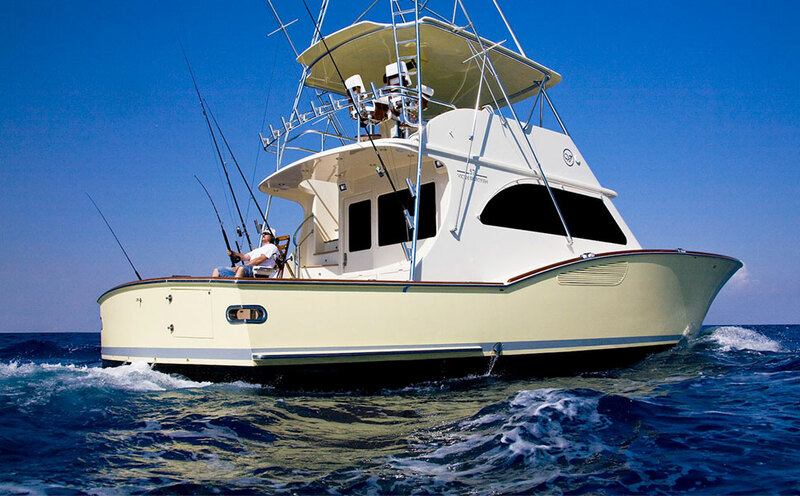 This boat is tournament rigged from the teak cockpit deck and covering boards to the large flybridge and tower with controls for finding the fish. 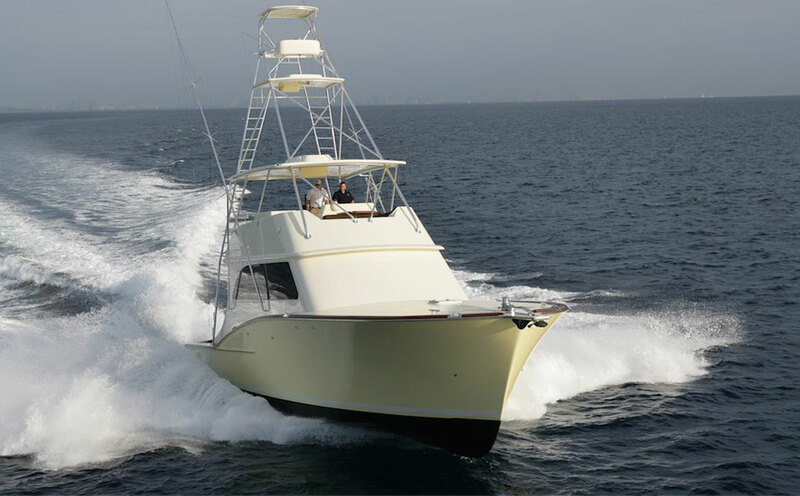 Exterior Design Vicem Yacht Ltd. 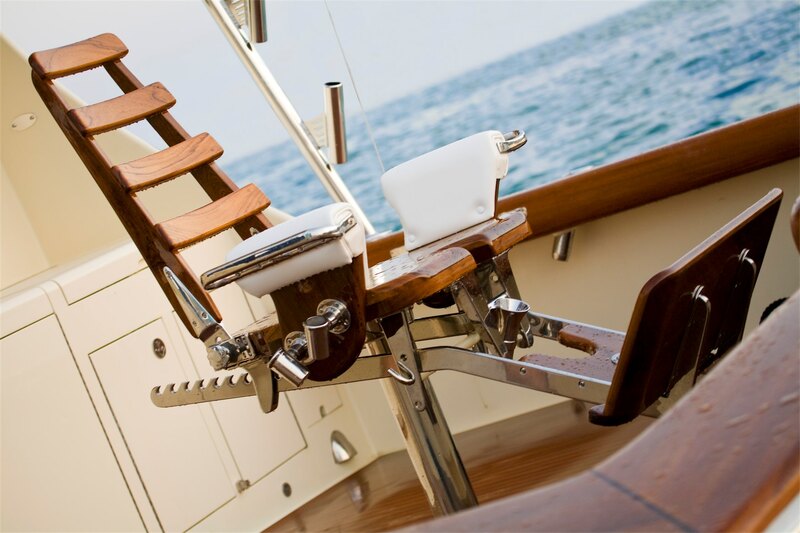 Interior Design Vicem Yacht Ltd.